On the day a parent’s child is born they have 936 weeks from that moment until their child turns 18. If they fall asleep at the wheel and wait until their child is five years of age to begin teaching them their values and their faith they’ve only got 676 weeks left. If they get distracted with a busy life and wake up one day when their child turns 13 and realize their “baby” is growing up they only have 260 weeks left. 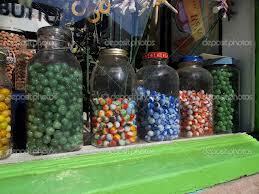 When I was a boy “playing marbles” was one of the games of choice. 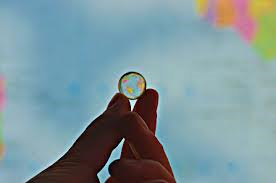 A boy valued his marbles like a cowboy valued his horse or an astronaut his oxygen tank. There were two types of “playing marbles” in those days. Version one: you played “for fun” and version two: you played “for keeps”. Version one was…well fun; you really had nothing to lose. Version two was serious—your prize marbles could be lost. Nothing has changed now that I’ve grown up—there are still two “games” to play. There’s still the “play for fun” activities and there are the “play for keeps” activities. …being extremely good and vigilant at the “for keeps” part of life. If a jar represents the “for keeps” things of your life and one marble equals one week, how many jars do you have and how many marbles to you have left in each of those jars?